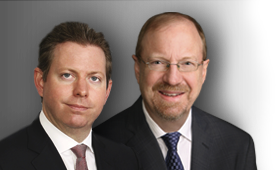 Editor’s Note: Elliott Gue and Roger Conrad will make their annual appearance at The MoneyShow Orlando to share their outlook and top picks for 2016. Don’t miss out on this opportunity to meet the Capitalist Times team in person. This year’s conference will take place March 2 – 5 at Disney’s Contemporary Resort. Register for free today to secure your place at this must-attend event. 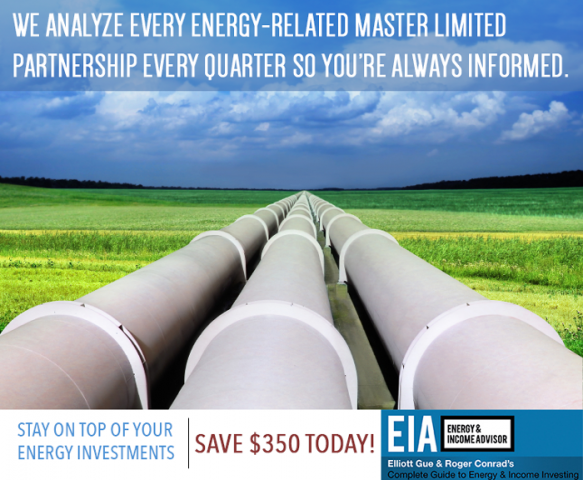 In addition to eroding investors’ returns, the indiscriminate selling of energy-related master limited partnerships (MLP) has increased the Alerian MLP Index’s yield to more than 9.5 percent. Meanwhile, 70 of the publicly traded partnerships tracked in our MLP Ratings yield at least 10 percent—usually an indication that the distribution could be at risk. A higher cost of equity capital represents a major headwind for names seeking to fund near-term growth projects and earn an economic return on investment. Many master limited partnerships disburse the bulk of their cash flow to unitholders via quarterly distributions, an approach that forces them to rely on issuing stock and bonds to fund growth projects. Our graph tracking aggregate quarterly MLP equity issuance over the past 15 years plots the US energy landscape’s evolution, with the total deal value and volume ballooning from 2010 to 2014 to support the shale oil and gas boom and take advantage of robust investor demand. 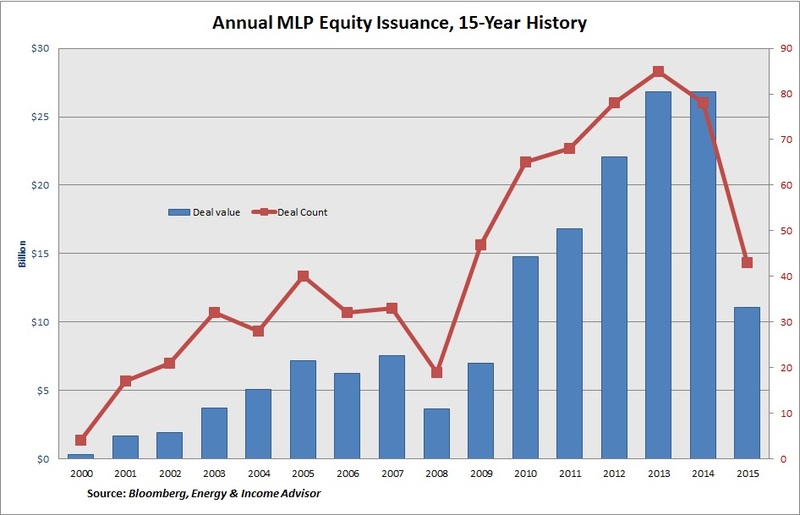 In 2015, the total value of MLP equity issuance ($11.05 billion) came in at 58 percent of last year’s level. Payout cuts announced by former MLP Kinder Morgan (NYSE: KMI) and Teekay LNG Partners LP (NYSE: TGP) underscore the dangers associated with constrained access to debt and equity markets. Although Kinder Morgan raised enough capital via an offering of convertible preferred shares to cover its 2016 debt maturities and had ample capacity on its credit facility to fund planned capital expenditures, the prospect of a credit rating downgrade from Moody’s Investors Service prompted the company to slash its dividend by 75 percent to conserve cash flow for debt service and growth projects. The blue-chip midstream company faced pressure from its tight dividend coverage, near-term debt maturities and expiring hedges in its oil-producing carbon dioxide segment. The stock’s elevated dividend yield meant that issuing equity to fund growth projects wasn’t feasible. Teekay LNG Partners’ 80 percent distribution cut came as more of a surprise because of the partnership’s long-term contracts and reliable cash flow. This decision didn’t stem from a deterioration in the MLP’s underlying business and cash flow; rather, the distribution cut reflects a commitment to funding its growth projects—primarily new tankers to ship liquefied natural gas (LNG) and an LNG import terminal in Bahrain—in the most efficient way possible. Such a dramatic distribution cut ensures that Teekay LNG Partners will be able to fund its planned growth projects internally for at least the next three years, without tapping the public market. During a conference call to discuss the distribution cut, management warned that “the investor base has changed [in the MLP market]” and “what is happening now is going to take longer to repair than it did in 2008 and 2009.” The executive team also indicated that Teekay LNG Partners would increase the proportion of its cash flow earmarked for distribution to common unitholders when the equity market recovers. The unexpected distribution cut resulted in a vicious selloff that roughly halved Teekay LNG Partners’ stock price in a single day, underscoring the premium that the market pays for cash flow disbursed to unitholders relative to income that’s reinvested. On the plus side, the stock did catch a bid after this initial plunge, as investors realized that the MLP’s underlying cash flow remains sound. Present, Not Past: An MLP’s track record for distribution growth and sustainability isn’t a legitimate investment thesis in and of itself. The 2008-09 downturn, though severe, was relatively short-lived and gave way to the shale oil and gas revolution, a boom period for midstream development that drove impressive distribution growth and total returns. 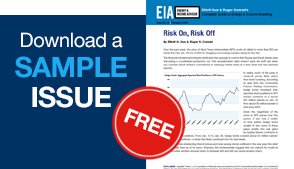 The midstream industry stands on the cusp of a refractory period where US onshore oil and gas output must adjust to the market’s constraints, with marginal producers and acreage coming under the most pressure—a vastly different business environment. History is instructive, but only when combined with an understanding of current market dynamics and each MLP’s strengths and weaknesses. A Painful Rerating: From 2010 to 2014, the shale oil and gas revolution transformed formerly sleepy MLPs—a security class that had been the province of investors seeking steady, above-average income—into one of the market’s most compelling growth stories. In other words, the focus shifted from yield to yield compression, or price appreciation that outstrips distribution growth. The number of fund products offering significant exposure to a universe of about 125 MLPs exceeded 85 offerings the last time we checked. Institutional investment in the space also increased significantly. 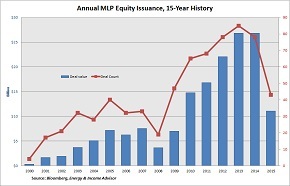 The binge on MLP equity from 2010 to 2014 has entered the inevitable purge phase, characterized by forced liquidations and year-end selling for tax losses. Comments from Teekay LNG Partners’ management team suggest that some growth-oriented buyers may not return to the market. Key Risk Factors: A solid underlying business remains the foundation of any high-quality MLP, but Kinder Morgan and Teekay LNG Partners’ distribution cuts demonstrate that asset quality doesn’t guarantee distribution safety. Besides the health of the underlying business, investors should also consider an MLP’s distribution coverage ratio, contract expirations, near-term debt maturities, overall leverage, cost of capital and funding needs. In this market, MLPs with tighter distribution coverage and near-term debt maturities have less wiggle room, especially if they have a slate of growth projects to fund and a high cost of equity capital. Projects Become Near-Term Liability: MLPs that have committed to major growth projects have sought to reduce their near-term funding needs by seeking joint-venture partners and raising money through private placements. But some high-yielding names could opt to cut their distributions and retain cash flow to fund projects and handle bond maturities until the debt and equity markets recover. A Buying Opportunity: For MLPs with high-quality assets that have long-term value, the selloff that accompanies a distribution cut creates a compelling buying opportunity, usually with near-term upside. Teekay LNG Partners’ stock has rallied hard since the MLP slashed its payout, as investors realize that the MLP’s underlying revenue remains solid and reinvesting cash flow will drive future growth in a challenging equity market. This resilience is a crucial distinction from Linn Energy, Hi-Crush Partners and other names that cut their payouts because of deterioration in their actual businesses. If extended weakness in the capital markets prompted one of our Portfolio holdings to reduce its distribution to repay debt and fund growth projects internally, we would grit our teeth through the pain and buy hand over fist. We will keep our eyes peeled for these opportunities, hopefully in names that we don’t hold in our Portfolios. Our focus has always been on the quality of an MLP’s underlying assets and cash flow—the foundation for long-term wealth building. But in this environment, liquidity and cost of capital can also exert a profound influence on a partnership’s distribution policy, particularly for names with significant capital spending needs. But the equity market isn’t closed completely. Whereas as Teekay LNG Partners’ elevated yield prompted the MLP to slash its distribution and retain cash flow instead of funding its growth plans by issuing equity, EQT Midstream Partners LP (NYSE: EQM), Shell Midstream Partners LP (NYSE: SHLX) and Valero Energy Partners LP (NYSE: VLP) issued units in November and didn’t suffer a major selloff. All three stocks slipped nominally lower after these announcements, but rallied in subsequent trading sessions. These MLPs’ relatively low costs of equity capital represent a huge competitive advantage in these uncertain times.